Betting systems are one of the most used strategies in sportsbooks, but it is not one of the most popular to understand by the overall population. There have been movies showing betting systems for sportsbooks as a sure way to win. In movies like Two For The Money, it tells us that betting systems accurately predict sportsbooks, winning bet after bet and predicting the exact outcome of an event. But of course, not everyone can use betting systems; it takes time and a deep understanding of the sport to be able to predict accurately what will happen during a game. Nonetheless, the reality behind betting systems – whether you like it or not – is quite different. The truth is betting systems don’t guarantee that a bettor will win big in a short period. Alternatively, the methods used in betting systems only give the bettor slightly higher chances of getting it right at the sportsbook. Besides, the good news is that it doesn’t take an expert to use betting systems. Most bettors can learn basic betting systems reasonably fast, and by taking the time to learn, odds are that you’ll be able to understand and use complex systems that could give a bettor a little bit higher chances of winning the bet. Nevertheless, you will need to work hard, and it’s really not a get quick rich type of scheme. Usually, sportsbooks use the information that is known to everyone between news sources and fans. The information is used to figure out the odds, most often using general stats on each team and player will be used. This means that by knowing what information is used to determine the odds, we can have a good idea of what information we can use to predict the outcome. How can this information help a bettor? It so happens that using certain information in the internet is good for the bettor, while other information is not as useful. As a basic guide, statistics are useful to the bettor, while gossip is quite useless. More specifically, player and team stats are great for the bettor, while affairs and tabloids are not good to use. This is true because team and player stats are richer in information that the bettor can use to his benefit against the set alternatives. For example, the bettor will win more bets, which will have nice payouts, while the sportsbook will “win” on the off chance of a failure. The bettor can also use the information in different ways, while the sportsbook will use it as a base for their initial odds, then change the odds based on bets placed. Additionally, the bettor will perform well on multiple bets (when the bettor can use point spread or total points), can start taking risks if the information is good enough, and can avoid bad bets more assuredly in games where the odds are not favorable for action. In essence, all the bettor does will perform more effectively when the information that is rich with team and player stats is accessible. On the contrary, bad information opposes any efforts. If the useless information is ignored, the rest of the information is quite advantageous to the bettor. Betting systems can take advantage of how valuable the useful information is in different ways. As mentioned before, betting systems will sometimes make riskier bets based on the information that is used, and at limited times, could even diverge from basic strategy based on their system. Nonetheless, the best method a betting system can be used effectively is betting more money when the bettor’s prediction is more accurate, and betting less (or not betting at all) when the odds are not very favorable regardless of prediction. On a positive note: not everything you hear is true, betting systems are not illegal. As long as you understand that they are not 100% accurate when betting, you’re able to place bets how you want, by analyzing the information that is important and modifying your bets correspondingly. You should take this as a warning to be cautious about betting systems. While you can use betting systems, there is no guarantee that all of your bets at the sportsbooks will win. For example, a regular sportsbook may start shifting the odds in one direction, and that could lower the systems attractiveness towards the bet. If you use systems, remember that information can change at the sportsbook, and can change the way you use the systems and your ability to effectively win at any sports bet. As such, one of the largest problems for the betting systems is accurately using the useful information that can be found and being able to accurately use the information to input into the system being used. If there was a 100% guarantee, the bettor could simply bet on any of the sporting events that the bettor wanted, placing the maximum bet allowed at the sportsbook. Nevertheless, thinking of using this strategy is a clear approach to losing all your money at the sportsbook! Alternatively, most sportsbook betting systems depend on the most favorable information that will help a bettor accurately predict the outcome of the event. Another danger using a betting system is thinking that the sportsbook is always right. True, sportsbooks are out to win money, but a good betting system will take all information into account. Yet, the outcomes will be just as unpredictable as they are when plainly using basic strategy; your accuracy and advantage will be seen in the long run, while in the short run, you’ll have plenty of wins and losses. These systems can range from quite easy (Martingale and D’Alembert) to much harder (Labouchere System), but they all use the same principles. For example, different bets are worth points that the bettor will need to remember during any sports event. Bets that are placed by the bettor will take into account these points assigned to each, and will follow the rules based on the value of the points. In many systems, the points assigned to each bet is what determines exactly how much money the bettor will place, making it easier to gain a profit and limit loses. In many betting systems, the bettor will use the assigned points to determine how to bet on each sporting event, and whether or not they will need a big bankroll. Sometimes, the points will also inform bettors when to use basic strategy and bet the sport differently, based on how the different odds and betting lines have changed to favor one team over the other. Few betting systems also require bettors to use more than one sportsbook. This is because sportsbooks show different odds for a particular sporting event. Some bettors want to place their bets at just one sportsbook (as they may win more at a certain sportsbook than others), it doesn’t have such a big effect as when placing bets at two different ones. Therefore, more complicated systems will try and use more than one sportsbook, in order to take advantage of both odds. There is a big takeaway from this: there is no safe or 100% accurate sports betting system. Simpler sports betting systems provide a faster method, but you would need a bigger bankroll. Bettors have high odds of losing money before they start seeing a profit, and if you stop using the system before this, there will be higher losses than what the bettor has won. Provided there’s a choice between using a slightly more complicated system that you’ve learned well, or a simpler system that you’re not as confident about, it’s mostly preferable to select the complicated system, even if the simpler system assures a quicker profit. Possibly the easiest sports betting system available is the Martingale system. This is named after the person that invented the basic system that actually has other’s copy is principles: keep increasing your bet after a bet has been lost, with your bankroll. 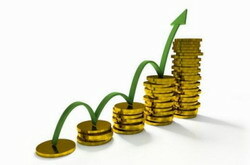 This is the method due to the fact it will eventually even out, and give a slight profit. The basic principle is easy. Start by placing a bet. Every time you lose, increase your bet by double. If you win the bet, continue placing bets at the same amount. Winning bets will keep profit coming in for the bettor. The betting systems differ in how you change, based on the information, the amount placed while betting. Certain ones suggest you double your bet every time you lose to win it back eventually, while others suggest betting a certain amount of money based on arbitrary units. Nevertheless, the basics are the same; when you lose a bet, the bettor needs to increase their bet in order to compensate. The more bets that are lost, more the player should raise their bet, up to a set amount that the bettor has in their bankroll or is willing to bet. Martingale betting systems don’t really change the way you bet; you can easily use basic strategy and depend on the larger bets winning back any losses and gaining a slight profit for the bettor. The profit gained by the bettor using these systems won’t be big, but it will assure the bettor less risk when at the sportsbook – and combined with a big bankroll and time to spare, can turn sportsbook betting into a money making and entertaining time for the bettor. Before you learn a sports betting system, it’s important to first learn basic strategy. The foundation of any sports betting system is betting using basic strategy, seeing as how simple errors can damage any accuracy you thought you had through systems. Even with all of the basic strategy information with you while at the sportsbook, always know that you have to become an expert in the basics before going on to more complicated strategies in any hopes of being successful. It’s also worth mentioning that there are different levels of accuracy in sportsbooks betting systems that will determine how effective you will be. For example, many systems depend on big bankrolls, which would limit most bettors in the long run. This occurs often at most online sportsbooks. Some online sportsbook bettors use only a small percent of their bankroll on each bet, and may not be able to afford more, making these systems inefficient. Other online sportsbook bettors prefer to use different systems, making a big bankroll unnecessary. This would decrease their risk by increasing their accuracy, but it would also lower their profit margin, using betting systems differently.